NEW DELHI: The S&P BSE Sensex rallied over 200 points in morning trade on Thursday led by gains in ITC, ICICI Bank, Maruti Suzuki, SBI, and Tata Motors. The Nifty50 reclaimed its crucial level of 8,150 supported by gains in realty, power, consumer durables, capital goods, banks, and auto stocks. At 09:20 am: The 30-share index was trading 251 points higher or 0.96 per cent at 26,488. It touched a high of 26,493.16 and a low of 26,357.35 in morning trade. The Nifty50 was trading at 8,181 up 79 points or 0.98 per cent. 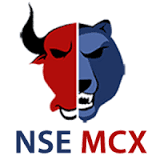 It touched a high of 8,183.25 and a low of 8,151.75 in the first 30 minutes of trade. 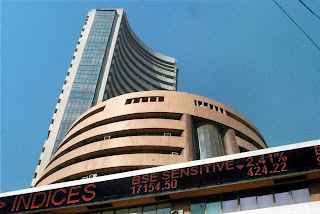 The S&P BSE Midcap Index was up 0.81 per cent and BSE S&P Smallcap Index was trading 0.78 per cent higher. Tata Steel (up 2.1 per cent), Adani Ports (up 1.7 per cent), SBI (up 1.5 per cent) and Maruti Suzuki (up 1.7 per cent) were the major Sensex gainers.